Welcome to the Mealsite demo site! Order for multiple students at once using our intuitive calendar interface on desktop and mobile devices. That means parents can order from home or the carpool line! To learn more about how Mealsite can modernize your school lunch ordering process and reduce costs compared to your current program, please visit the Mealsite product website. Sign up for a free demo with a Mealsite expert to explore the product features in depth! 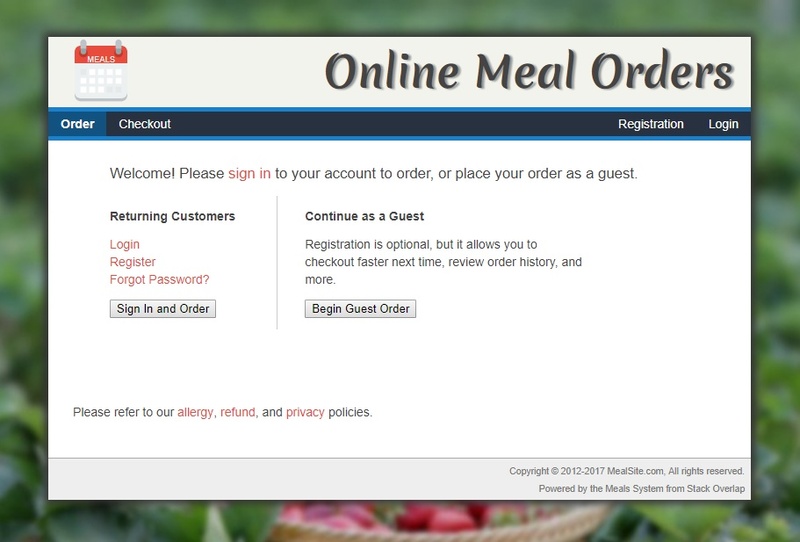 This Mealsite demo is configured for multiple schools. When configured to sell meals for a single location, all school information will be removed from the output to simplify the user experience.